Because one of the best routes to get to Fiji these days is via Korea, Tash and I have had the opportunity to see moon jars of Korea a number of times…the first time was when we had a couple of nights in Seoul where we experience the first snow Seoul had in years and our first sighting of a moon jar. 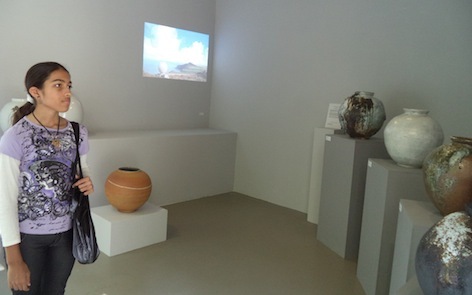 More recently, we saw a really good moon jar exhibition in London at the Korean Cultural Centre. (Actually it will be there until the 17th of August 2013). The moon jar is a vessel shaped albeit like the moon where the height of the body is almost equal to its diameter. 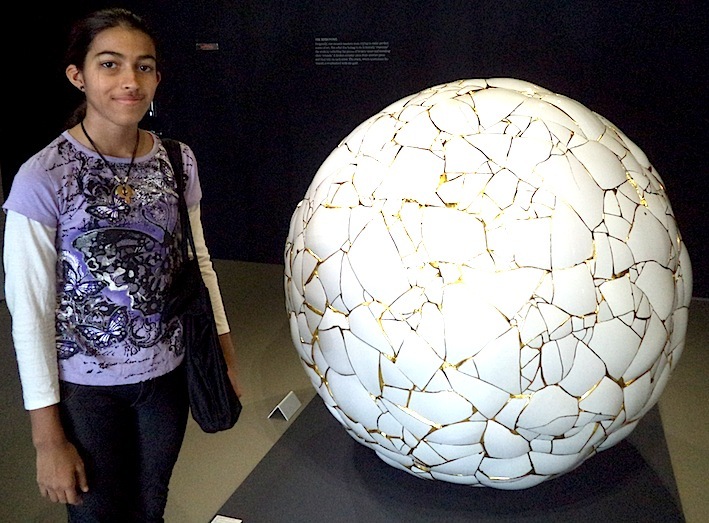 We learnt at the exhibition that the technique used to make the jar is by joining two separate parts that make the diameter of the base smaller than that of the mouth, so the shape appears unstable. The beauty is that these slight imperfections, in harmony with the cream body actually highlight the sheer size of the voluptuous curves, lending to a greater dignity in the piece….that almost sounds like a description of me – voluptuous with some imperfections but overall in harmony with myself. Anyway….moon jars were created by royal kilns primarily between the late 17th and 18th century and used for utilitarian purposes – for storing food, displaying flowers etc. The exhibition was a nice detour as we introduced Tash to various parts of London. It is important I feel that mixed kids need to know both sides of their parents’ heritage and feel connected to our childhood, our upbringing and get exposure to the life we lived. 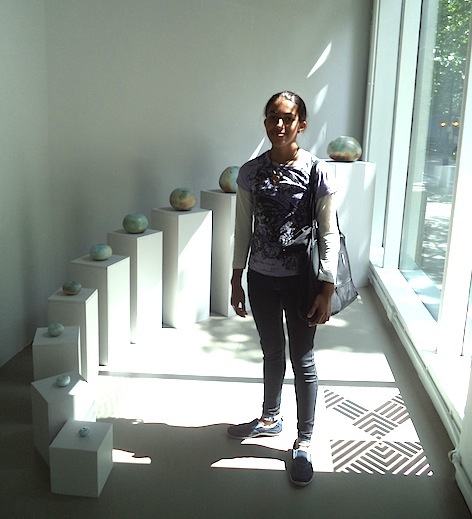 Tash is very lucky to have travelled the world – Over 20 countries before the age of 12 and having a connection to Fiji, UK, Spain, Malaysia and UAE will help her understand the strong influences of these countries she sees at home. PS: *The artists in London whose work I saw included Adam Buick, Jack Doherty, Akiko Hirai, Gareth Mason and Yee Sookyung. There is also a beautiful video still of the artists at work called Aspheric Light by James Kelly.